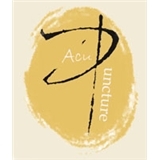 Hold Middle Acupuncture (New York) - Book Appointment Online! Shuang is great! I have been seeing her for a few months now for neck and back issues and would highly recommend her. She's always friendly, attentive, and knowledgable!